We offer coaching for mini’s and junior’s, alongside individual lessons, and adult club classes. Club members are entitled to significant discounts on coaching with us. 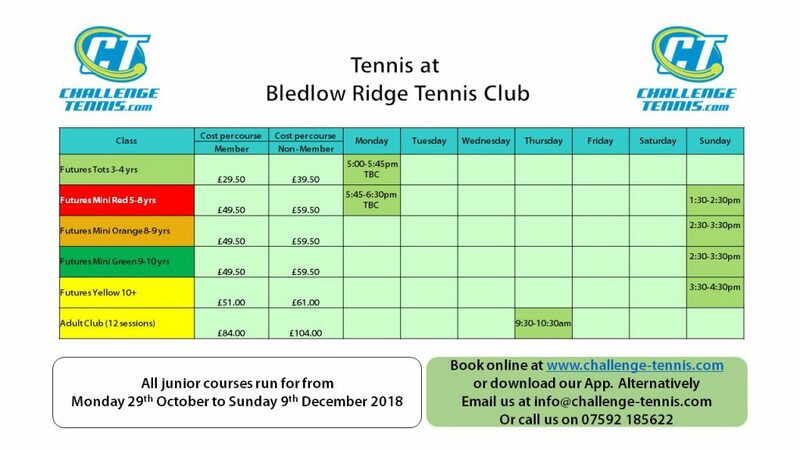 Information on the club and membership can be found on their website bledlowridgetennis.co.uk. Come and Meet Us! As an introduction to Chris and Challenge Tennis, join us on Sat 27th October from 9.30am for some free fun sessions for Juniors and Adults, followed by coffee and cake. Non-members welcome.